For my tenth post, I thought I’d do something different and list all my current submissions, along with why I sent them to the particular magazine in the first place. Hopefully this should give a little insight into the thought process behind where people should send their stories (and why) – and where readers can find stories they’re not reading, but should. I have a 1200 word dark, speculative fantasy piece at Beneath Ceaseless Skies. They only publish second world fantasy settings, which is a particular favorite of mine as a writer. 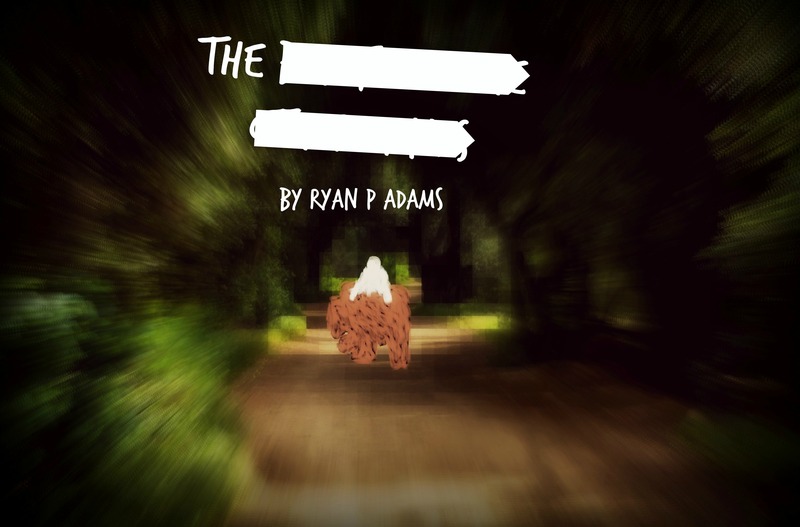 I sent a previous story here that was rejected, but I got praise for the world building I did and was asked to send more. I sent another piece where I thought I did a really good job with the world building, with a story that I think is stronger and tighter than the first. I have a 2700 word piece with my take on a new kind of supernatural creature at Urban Fantasy Magazine. Their guidelines say they liked stories with creatures like vampires or werewolves, but that since they get a lot of them, the competition for those stories were fierce. That’s advice for writers to consider different creatures or themes. The story I sent I think does a great job at creating my own urban supernatural creature, that I think does a really good job at being unique, with its own mythos, and yet feels ‘real.’ It also has a real-world setting that the magazine requires, and I spent a lot of time trying to make my characters feel like they come from Small Town, USA. I have another (different) 2700 word uber-dark fantasy piece at Fantasy and Science Fiction. Their guidelines don’t offer much suggestion for stories they’re looking for, just that they liked character-based stories and I know from the magazine that rich, other-worlds are a good place for it. Those are the two things I think this story does best. I have a difficult-to-classify dark fantasy poem at Interfictions, that’s bordering on a prose poem. Interfictions is a magazine that’s looking for difficult-to-classify or genre-bending poems and stories, so I thought this was a good fit. I don’t write much poetry (just the occasional dabbler), but I really liked this piece, so I figured “what the hell.” One piece of advice I’ve taken from a number of other writers, including here, was to not be afraid of sending things out. I put a lot of work in it, especially for its ~200 words, so I wanted to give it a shot. I have another difficult-to-classify 5000 word piece at Interfictions. Is it an urban fantasy? Dark fiction? Horror? Coming of age tale, with deep autobiographical inspirations? I couldn’t exactly pin it, and Interfictions is all about blurring the lines, so I thought it would be a good fit. I also did something almost no short stories do and gave it two different character perspectives, a serious no-no from one of the writing blogs I linked to yesterday. I’m hoping that Interfictions is one of the few places where the editors may look past that, and given that I’ve spent a lot of time on it trying to get it right (because it’s so personal to me), I was glad I got it in their window. I have a 3400 word sci fi piece at Crossed Genres, for their pronouns and gender themed issue (they have a different theme every month). I love the concept of themed issues, and the opportunity that gives authors to compete against just that one theme, instead of all the themes in the cosmos and fantasy realms. I really liked this theme in particular, and had an idea I had been kicking around for a while that this theme gave me an opportunity to explore — so it was worth the effort of crafting something particularly for this issue. I have a 600 word dark fantasy at Daily Science Fiction. 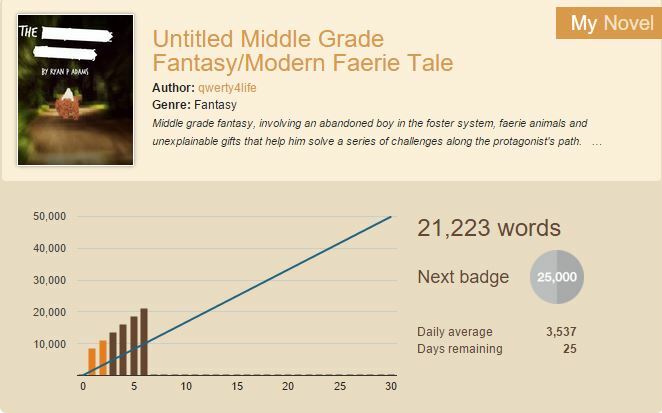 I sent DSF one of my strongest stories that I’ve written before, but unfortunately while it fit within their maximum word count range, it was longer than what they typically publish by a hefty amount. I didn’t want to make that mistake again, and so I sent something much shorter. This was the story I wrote while listening to Hozier, when the idea popped in my head. Hopefully, this will give a sense to other aspiring writers the level of commitment it takes to just have a shot at getting published in short story markets. You need to write a huge swath of the absolute best stories you can, and then you need to find places where they could fit, and keep sending them because no matter how good you are, your stories are going to get rejected a lot before you find success. More good stories gives you more good shots. The submission process is a huge time sink, but unfortunately you can’t get published without it — at least not professionally. So hopefully a peak into where I’ve sent things, and why I sent them there, will be helpful to some. Aidan Mohler of A Dribble of Ink says goodbye. I’m terribly sad that A Dribble of Ink is getting put on the shelf. It’s one of the first sci fi/fantasy blogs I loved. I wish I found it years and years earlier. Rain Like Diamonds by Wendy Nikel. Daily Science Fiction. A really nice spin on a story about a queen and a dragon, with a really strong ending. Loved Nikel’s descriptions. I also really enjoy Daily Science Fiction’s propensity to include a brief statement about what inspired the author to create the story. DSF should be required reading for aspiring authors. Short Story Elements don’t have to be Confusing, a blog post from Kat Hutson. Here’s some good tips on writing clear stories. I liked these. It offers a great approach for writers to take on writing high quality stories — though I think stories can work without all these elements, if writers are prepared for them to be a bit more niche. Full Circle by JT Gill. Every Day Fiction. Strong writing. I really liked how he painted society discovering clear evidence of an alien vessel. It was in an entirely mundane way — there were water cooler conversations, cognitive dissonance in the face of clear evidence, and a guy worrying more about his girlfriend than whether there’s an imminent invasion coming. You get the sense that if the story continued for a few more days, aliens would become old news fast and people would be on to the next story that dominates the headlines. Ah, 24 hour news cycles. io9 thinks Killjoys is an okay B-TV show that suffers from an overstuffed plot. I don’t necessarily disagree with the criticism that Killjoys unloaded a lot (maybe too much), especially in its early episodes, but it was never a huge issue for me — it never distracted me from the show. The only real problem with Killjoys is that SyFy didn’t know what it had. It’s an amazing, fun show — but it’s a B-TV show that needed an A-TV budget. Imagine Killjoys with Firefly’s or BSG’s far better production values and more intricate sets, and maybe a slightly more fleshed out cast. I think it would have easily stacked up with those shows. Sunil Patel, an author who’s sold 9 short stories since he starting submitting stories two years ago, wrote a couple great posts on A Dribble of Ink about what he learned to help him break through the submission process. I thought it was filled with great advice — so I wanted to share it. Here’s part 1 and part 2. It’s definitely worth reading for aspiring writers or anyone interested in the process. You may not be able to have it all, but don’t miss out because you screwed up. One of the frustrating things about writing — and trying to get published — is that it’s not just about writing. It would be great if all you had to do was create some interesting characters, stick them in a compelling plot, then polish everything up and PRESTO! You’re published. Unfortunately, there’s much more to it than that — and, unfortunately, very little is spelled out for any of us. No matter how much reading about writing we do along the way, a lot of the times we have to learn the hard way. Case in point: While I’ve written my share of stinkers, I have a couple stories I’ve written this year that have made it past slush piles at sci-fi/fantasy literary magazines that are high up on my list of goals. One, in particular, has done very well insofar as it’s been held for lengthy periods of time nearly everywhere it’s been sent and I’ve received actual, personal emails about it from editors, with real-live feedback. So when there was a submission call for a great magazine releasing a themed issue that really fit my story to a T, I got really excited. It should have been one of the best chances I had at being published thus far, but I screwed it up. What did I do? After I sent it, I realized I misread a key submission guideline. I thought there was a 1000 word minimum when there was really a 1500 word minimum — and my story was just over a hundred words short. I could have easily made my story comply, adding some description to my characters or adding an extra few lines of dialog. I could have taken it as an opportunity to step back for a few days and see if I could make my story even better. Instead, it was rejected the next day — probably not even read. That stung, a lot — but especially since it was my fault. Sadly, there’s going to be a lot of things that sting along the way, when trying to be a writer. Every writer says that. There’s going to be rejection after rejection after rejection, even if your story is good. But you don’t want to be rejected because you screwed something up — something that could have been fixed. Thankfully, when I decided to take writing seriously over the past year, I did so promising myself that I’d deal with rejection proactively. I created my own little rule, what I call my Rejection Day Ritual. Any day I get a rejection letter, instead of getting down about it, I write, no matter what — for at least an hour. It’s been an awesome ritual, keeping me positive and focused on my goals and tasks. I decided to be proactive about this mistake, too — thinking of how I could come up with a way to make sure I never repeated the same mistake again. So, I created a checklist. I tried to design it to cover every aspect of the submission process, from format guidelines to word counts to cover letters to making sure I attach everything and send it in the right format. And I never click send on a submission before I’ve checked everything off. It’s been a huge help for me so far — I’ve caught submission errors twice since using the list, which means my stories have probably been given a fair shake two more times than they would have been. If anyone’s curious what my checklist looks like, I copy and pasted it below. Feel free to take it for your own benefit — maybe you’ll spare yourself from sending something with errors in it that could prevent your story from getting the serious reading it deserves. Is it attached to your email? 10. Are there any other special rules or requests you can find in the submission guidelines? It’s nothing fancy, and I’m sure it’s not perfect, but it’s kept me from making further mistakes. If anyone has any other suggestions or improvements, I’d love to hear them in the comments. For those of us crazy enough to try to get published in a professional market, we’re going to have to fail a lot before we succeed. Most of us will have to write a critical mass of really good stories before one of them sneaks through and gets published. Given how hard it is to do that, we have to do everything we can to make sure we don’t make it any harder on ourselves than it the competition already makes it. As the Jay Brannan song says at the top of my post, we can’t have it all — but let’s make sure we take what we can get.